The One Direction boys had had made many attempts to topple many reining Vevo record holder, but alas they weren't able to... until they released their newest Best Song Ever music video last July 22, 2013. The views history is overwhelming and Miley Cyrus's We Can't Stop definitely can't stop One Direction's Best Song Ever music video's rise to victory within the next 24-hours. The music video has not only outrun its predecessors by mere thousands, but by just a few millions! 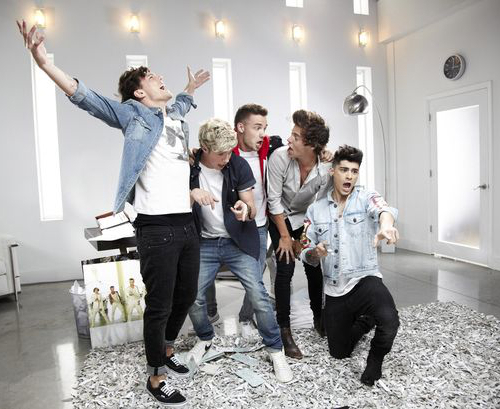 Watch the music video of Best Song Ever by One Direction. This 6-minute One Direction galore is surely up for the taking. The Best Song Ever music video by One Direction is now the reigning 24-Hour Vevo Record holder after gaining 12.3 million views in a 24-hour period, leaving Miley Cyrus' We Can't Stop by miles with 10.7 million views only in its first 24 hours after release.